Welcome to our campus bookstore which consists of thousands of titles. The above image captures a small portion of the books housed in our real "brick and mortar” store, serving as a convenience to our students, and customers around the world. If you are looking for a particular book that you don’t find here, please call us at 1-800-GO-BIBLE; we may have just what you are looking for. If your travels bring you to the Jacksonville, Florida area, plan to call to arrange a visit to this on-campus conservative bookstore. Author: John Koessler Publisher: Moody Press Year: 1999 Description: Koessler writes .. 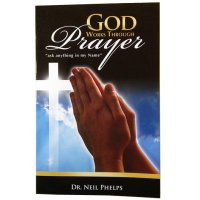 Author: Dr Neil Phelps Publisher: Conservative University Press Year: 2011 Description: .. Author: E W Bullinger Publisher: Kregel Year: 1979 Description: One of the only works.. Author: Rebecca Price Janney Publisher: Horizon Books Year: 2000 Description: Letters.. Author: Wayne LaPierre Publisher: WND Books Year: 2003 Description: In Guns, Freedom,.. Author: Henry H Halley Publisher: Zondervan Year: 1965 Description: Halley's Bible Ha.. Author: Rev. Bob Jackson Publisher: Budget Print Center Year: 2006 Description: A day.. Author: Stephen Bly Publisher: Crossway Books Year: 2000 Description: Goldfield, Nevada..